If you think you may have asthma, speak to your GP. Your GP will ask you about your symptoms and examine you. This may be enough for them to be able to tell if you have asthma. They may also ask you to take some tests. These tests can confirm that you have asthma and rule out other conditions. Spirometry test. 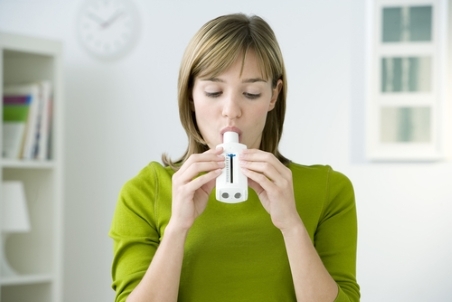 A spirometry test measures how well your lungs are working. This easy test is done by breathing into a machine called a spirometer. Peak flow measurements. A peak flow meter measures how hard you can blow out air from your lungs. If the reading is low, or varies a lot, it may mean you have asthma. Your doctor may give you a peak flow meter to take home with you. You can use it to measure yourself at various times during the day over a period of time. See the Peak flow and symptom diary booklet from the Asthma Foundation for peak flow diaries and graph sheets that you can print. The booklet also has instructions for using your peak flow meter. Other breathing tests. Your doctor may also arrange other more complicated breathing tests, such as a nitric oxide breath test, or a challenge test. A chest X-ray. This is not usually necessary to diagnose asthma but your doctor may arrange one to rule out other conditions.